After explaining that she’s always been naturally curious, a problem-solver and advocate who enjoys helping others and even resolved some Medicare issues of a family member, it was clear that it would be good match. These striking qualities of Linda’s have found a home at CHCR’s Health Insurance Counseling and Advocacy Program (HICAP) Volunteer Counselor Program for fifteen years, mostly at Culver City Senior Center. The LA native and UCLA graduate has always been passionate about what she can do to make the world a better place—which has led to a life of discovery, opportunity and service. Before graduating from UCLA with a degree in business education and a teaching credential, Linda took a study abroad program in Mexico, which led to a lifelong interest in Spanish, a language which Linda still speaks today. Linda opted for a corporate career, working for a major defense contractor and later in banking and real estate before becoming a Graduate Program Administrator back at her alma mater, UCLA. Linda and her husband Bob are the proud parents of two sons and two grandchildren. They are seasoned travelers who have visited 76 countries and all 50 states. 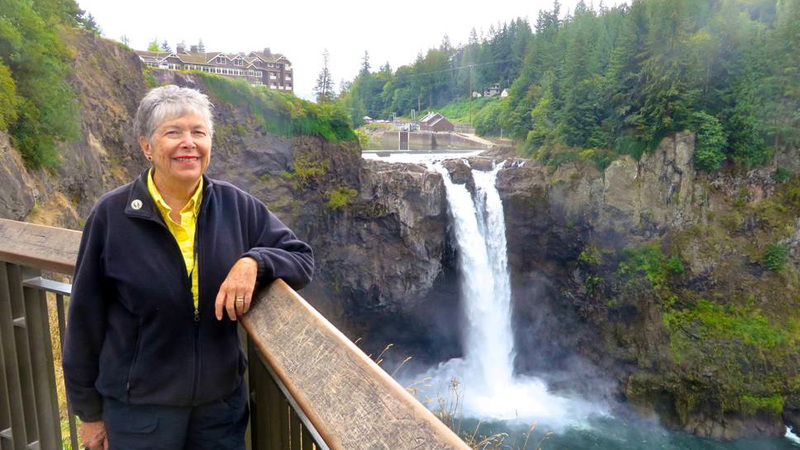 The spark that ignited Linda’s passion for travel and discovery also guided her interest in lifelong learning, and by extension, HICAP counseling. Simplifying the complexities of Medicare and related health insurance, is no easy task—but Linda’s approach makes it seem easy: she draws on common sense and life experience when offering unbiased information on Medicare benefits and options. According to Linda, HICAP clients who are newly-eligible for Medicare often begin their visit by saying that they’ve been overwhelmed by the mailings they’ve received—and haven’t figured out how to make sense of it all. But after an hour of HICAP counseling, where Medicare’s benefits and related options are explained simply and questions are answered, the client often heaves a sigh of relief. For the client, the “mystery” of Medicare has been solved. No wonder they call her “Detective Fleischman”.